Wendy is an office manager and optician at TSO Allen. She is in the process of studying for her Bachelors in chemistry and biology at University of Texas at Dallas. In her spare time likes working on her new house and spending time with her husband and two dogs. 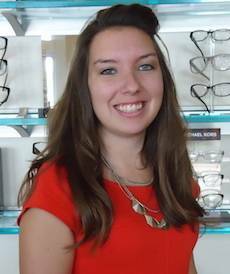 She enjoys helping patients pick the perfect frame for them and specializes in insurance.